It’s a fact. BC is a heck of a popular place and our highways and byways are getting busier and busier. What should be a simple left turn can sometimes take a long, long time to make (not to mention big back-ups for folks in line behind.) 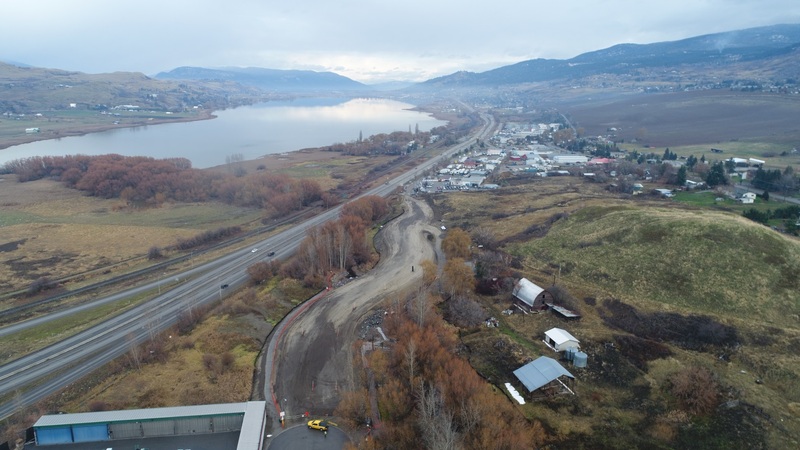 We often need to make changes to some of those busier routes in order to keep travellers moving safely and smoothly, which is exactly what is happening on Highway 97 at Stickle Road in Vernon. 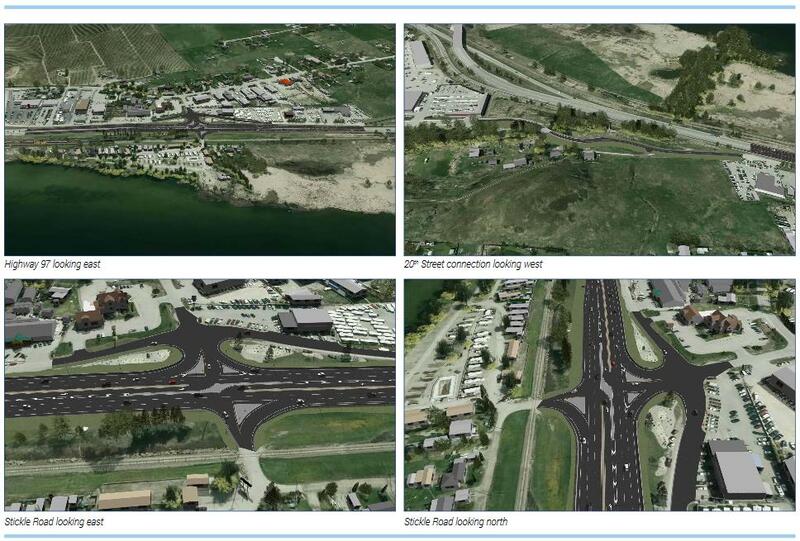 Work is currently underway to improve safety, mobility and access along this stretch of the highway, one of the busiest north-south connectors in the province. 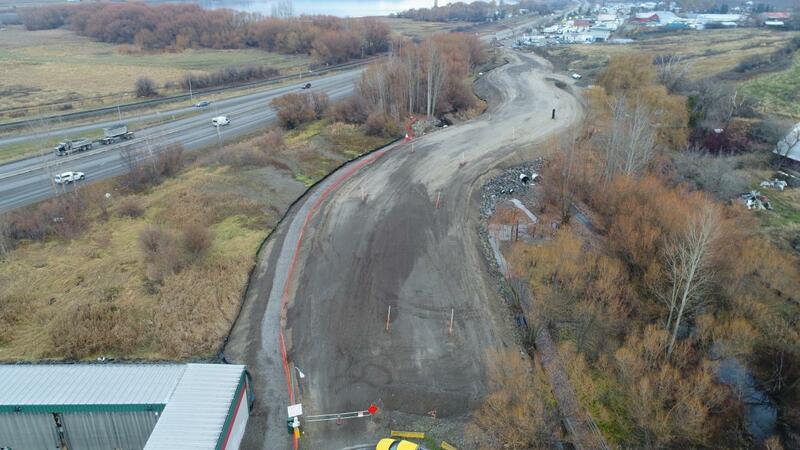 On top of adding separated and protected left turn lanes off Highway 97 at the Stickle Road intersection, we are also connecting the south end of Stickle Frontage Road with 20th Street and working on a number of restoration and enhancement opportunities along the BX Creek drainage channel. 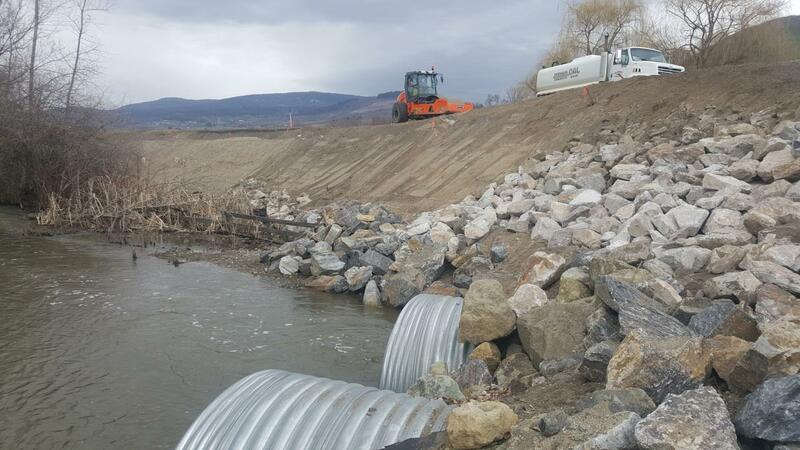 We’re also working with Ducks Unlimited on their property downstream of the project to create several new wetlands and restore the functionality of the lower end of BX Creek adjacent to and leading into Swan Lake. So – no matter if you are a driver, pedestrian, fish or fowl – this project has something great in store for you. Looking for more information about this project? The Stickle Road Project website has tonnes of great information for you. Do you have a question about this project, or any other work the Ministry of Transportation and Infrastructure does? Let us know in the comments below. Artist’s renderings of the completed project. The scenery here is beautiful! Thanks for writing about Stickle Road intersection and 20th street extension project. Just attended pre-construction meeting and visited site today. That project will be great for enhancing mobility and safety in the intersection. Glad to hear that Sabiha – thanks for connecting with us here!